We are completely remodeling this house. New kitchen, new bathroom, furnace, electric and new carpet in all bedrooms. 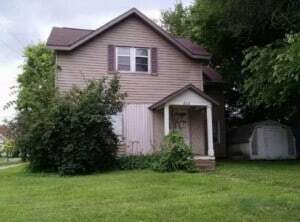 Since this is a new property for us, we want somone in here by June 1st or sooner. Free heat, water, sewer, weekly trash and FREE Wireless internet. You pay electric which is not much. Typical electric bill will be $20 per person per month. Since we are in the process of gutting this house, we can walk you through the new layout of this house. It is very dirty right now with walls and flooring getting removed.